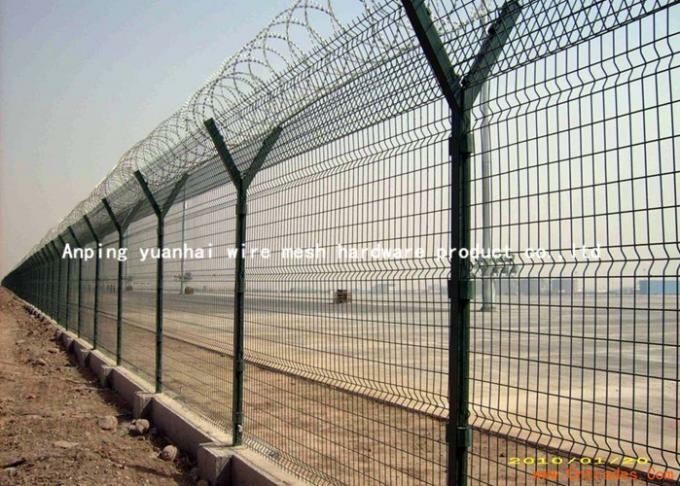 2.Material: High quanlity low carbon wire, galvanized steel wire, PVC coated iron wire. Color: blue,green, yellow and other colors. 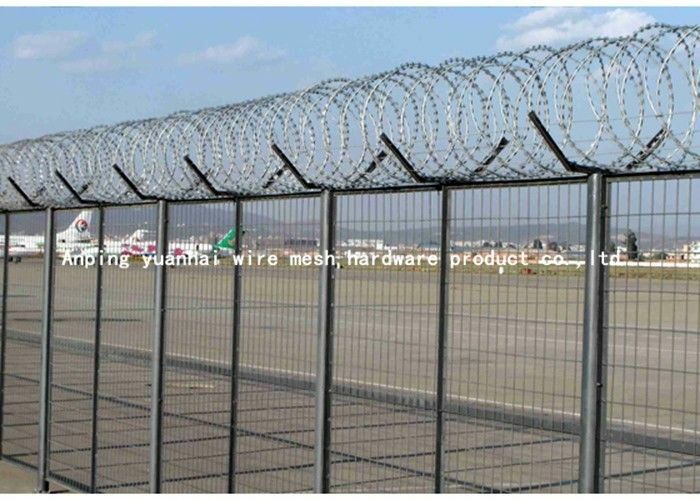 Structure: This product general include 4 ports, razor barbed wire, welded mesh, square post and V mesh. We often used in airport, railway, highway. 3. PVC coated without galvanized.